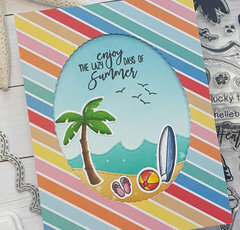 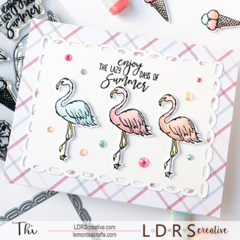 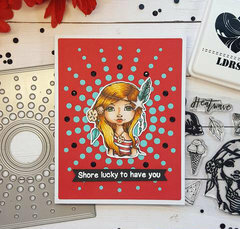 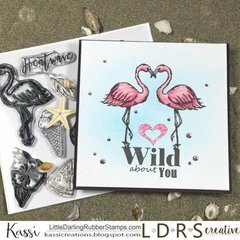 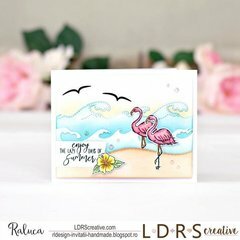 You'll be feeling the Heatwave when you create summer inspired cards, pages, tags and other sizzling crafts with the clear acrylic stamps by LDRS Creative. 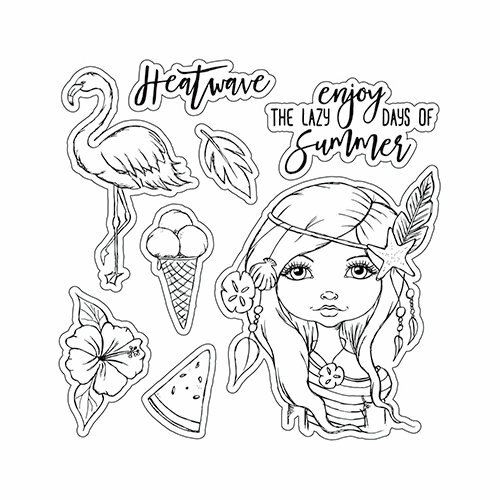 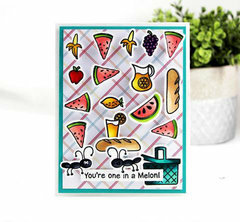 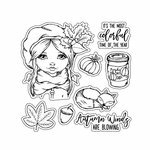 The set includes 8 clear acrylic stamps from the Cre8tive Cre8tions Collection and features images of a flamingo, triple scoop ice cream cone, watermelon, hibiscus and a girl with a headband embellished with a feather and a starfish. 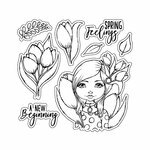 They come on a convenient 4" x 4" storage sheet and can be used with an acrylic block and your favorite inks (sold separately).